When was the last time you opened your favorite comic book? My favorite is Calvin and Hobbs because we always find Calvin in an amusing situation with a big problem. Comic books use visual medium (thought balloons, narrative boxes, page space, bold text, and exaggerated lines) to engage in dialog, move forward the story, and show the reader the plot. I wish more books would take a lesson from comic books, and give me something visual in the opening paragraph. As a horror author I find myself constantly commenting on opening paragraphs, especially those of other horror authors. Most people begin by fixing the setting, but I expect action! If this can’t be done in the first sentence, at least do it in the first paragraph. Remember, setting, imagery, tone, and diction are all important, but if you can’t grab your reader in the first paragraph, chances are they will be on to the next book that does. In Death of the Body, I start my prologue with Edmund’s death. The entire scene is written from his point of view, so that the reader will experience his death along with him. My intent was to immediately grab the readers attention (all while making it perfectly clear that the book is a dark novel), but also to make it so the reader couldn’t put the book down until they discovered how he got there. This works in cross genres as well. Why not start your romance with the steamy love scene or your mystery with the murder? Time travel can be a theme in your science fiction, so why not use that to your advantage? The wonderful thing about writing is that you don’t have to have your beginning at the beginning, or your ending at the end. Just because we aren’t writing comics doesn’t mean that we can’t be as visual, exaggerated, and problematic as they are. The opening paragraph is really the go big or go home moment. Use it to set the visuals for the rest of your story, just as a comic book does. I’ve often been accused of having done more in my life than the average 30 year old, but if I were completely honest I’d have to tell you my secret: I’m really 392. I have one book published but out of print, one coming out soon, and a bunch half written (when you have eternity, where’s the reason to rush?). I’ve been favorably reviewed by horror greats like Nancy Kilpatrick, and my how-to-write-horror articles have been quoted in scholarly (aka community college freshmen’s) papers. Let’s go on a hunt! Each blog participating in this tour has shared a Teaser image. Mixed into ten of them are numbers that have been emphasized. So start visiting! Save the blogs Name and the #’s you find until the last day of the tour! Then send an email to michelle@markmywordsbookpublicity.com with subject line : "The Hunt List"- with the blogs names listed in order #1-10 ! If you get the order correct you will be entered to win ! Careful, not all the images contain the information you need. Cred ca voi incepe prin a lauda autorul care, apropo, arata foooarte inspaimantator :)) Glumesc. Nu stiu cat de buna e cartea asta, dar descrierea e suficient cat sa-ti atraga atentia. Ca sa revin la autor, e prea funny. 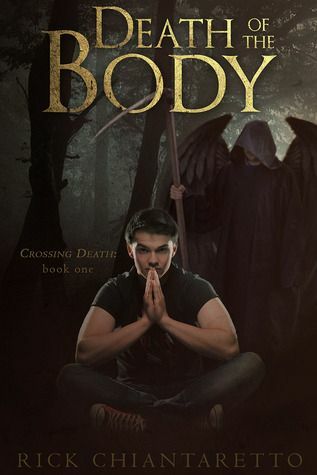 And thank you, once again, Mythical Books (and Mona), for posting about Death of the Body. I always have so much fun here! If anyone has any questions, I'm cyber stalking this blog... as usual.